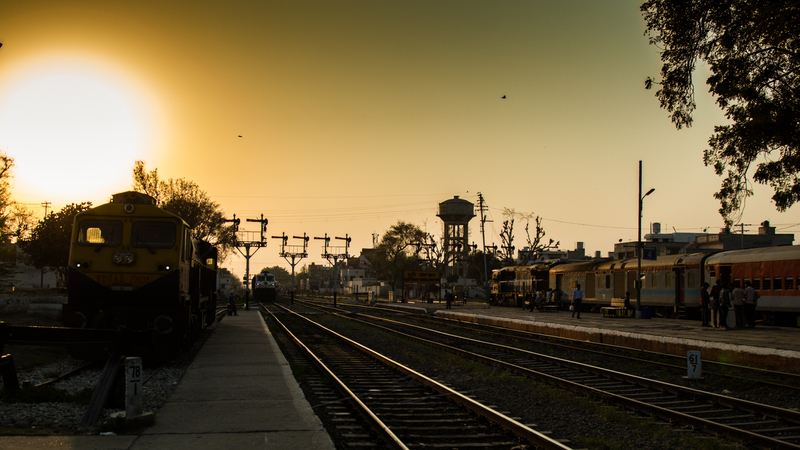 Tucked away in a corner of the Punjab, lies a nondescript town named Dhuri. If you ask the locals, they claim that famous movie-star Dharmendra, spent his youth working there. 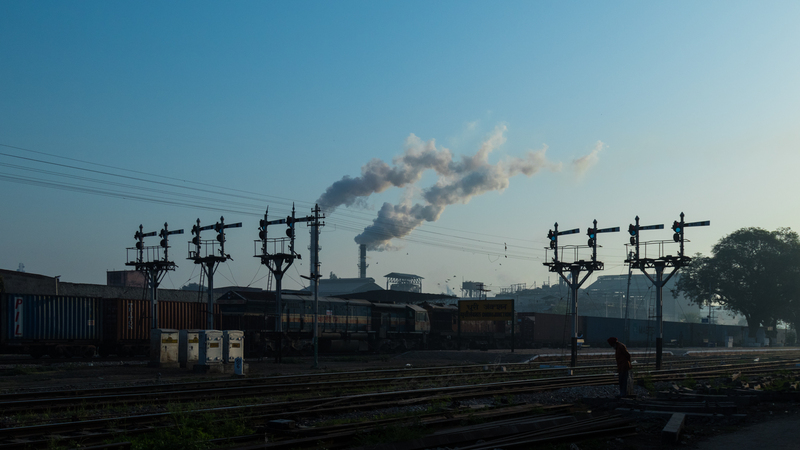 The Indian Railways however, has a habit of attaching great importance to nondescript towns. Dhuri, for them is an extremely important junction. 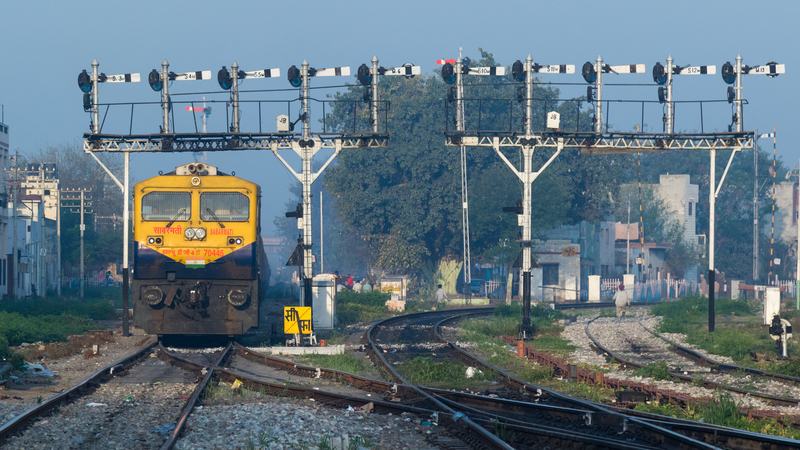 Four lines radiate – north towards Ludhiana, east towards Patiala, south towards Jind in Haryana and west towards Bathinda and onward to Rajasthan. Traffic is mostly local services, connecting numerous villages in the hinterland to big towns. The odd express train, and loads upon loads of freight. Given the dominance of agriculture in the state – almost every other station loads grain and other produce. And then there coal trains bound for power plants. And colourful container trains from ports far away to the south. 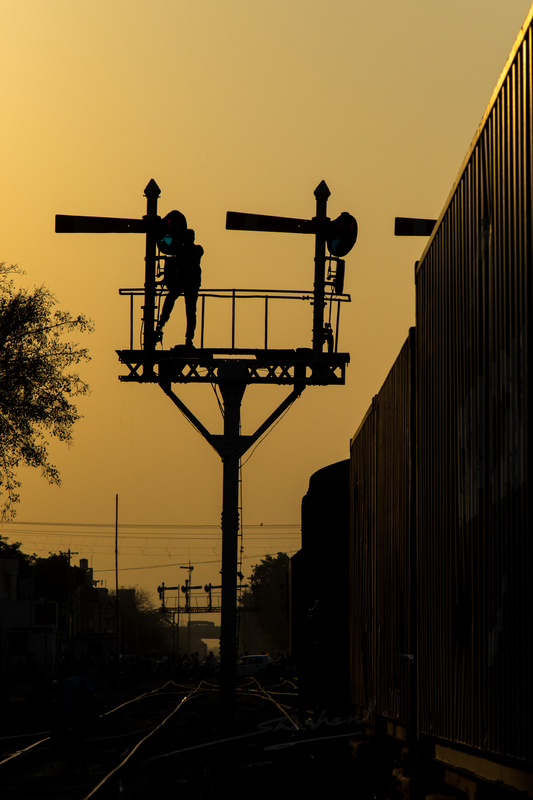 But Dhuri is famous among rail enthusiasts for its impressive array of semaphore gantries. The likes you just don’t find anywhere else in the country today. 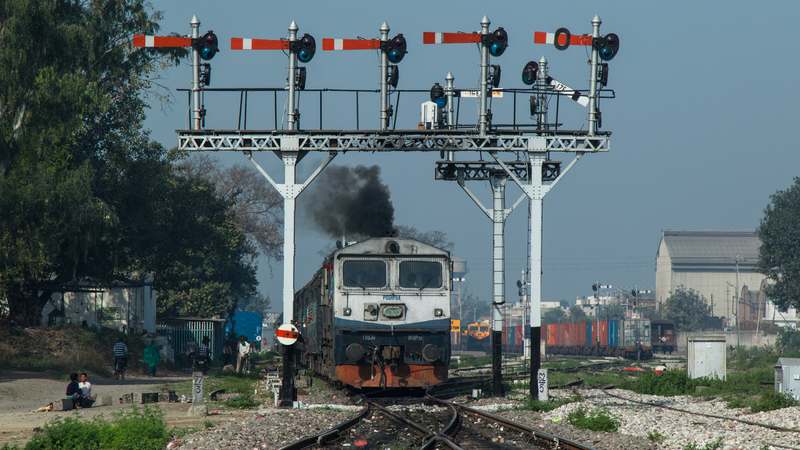 The semaphore gantries on the western entrance of Dhuri Jn. 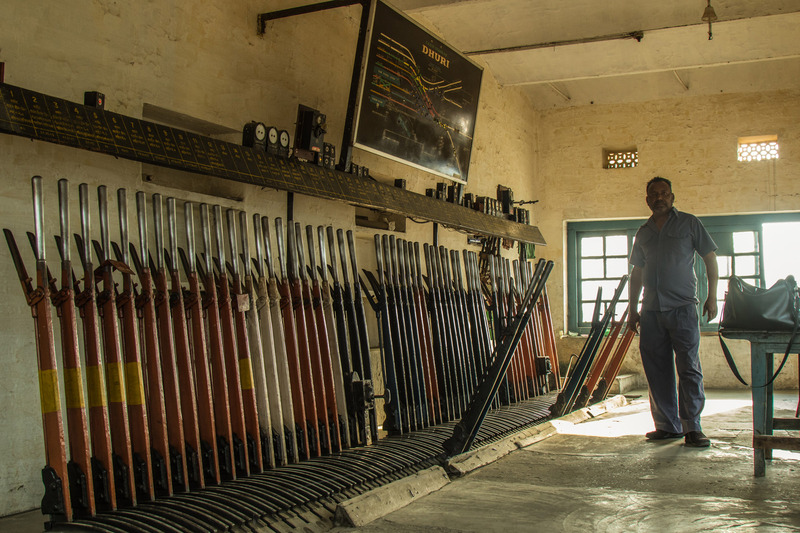 The array on the left controls the line from Ludhiana, while the other one controls trains from Bathinda. 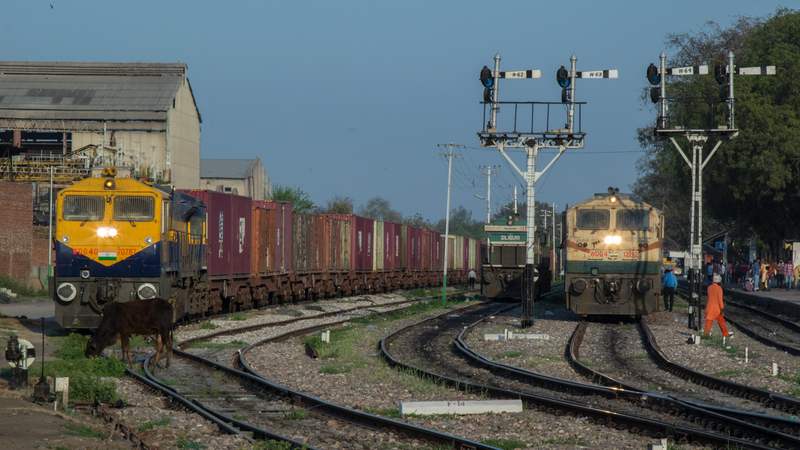 On a fine spring morning, we arrived in the Dhuri with the express mission to document the semaphores in action before they are replaced by the modern colour light signalling. The sections around Dhuri also feature a token based system of train operation on a single line section, which too is being phased out. Sharing a few images taken in and around Dhuri. 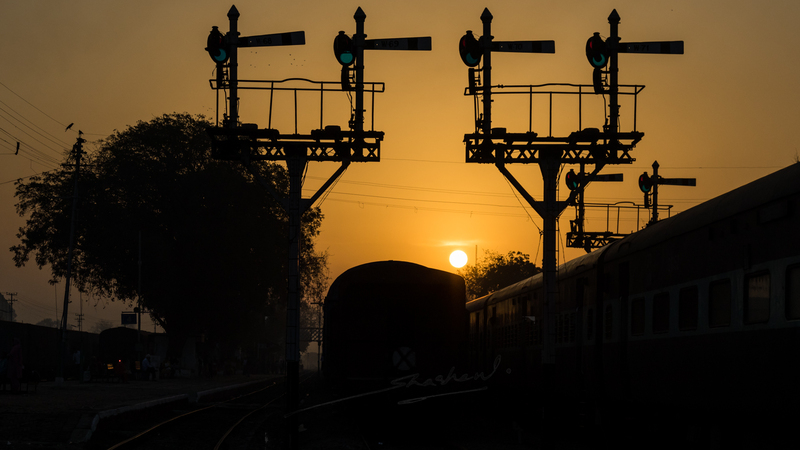 The 54636 Ludhiana – Jakhal passenger arrives at Bahadur Singh Wala, the first station after Dhuri. 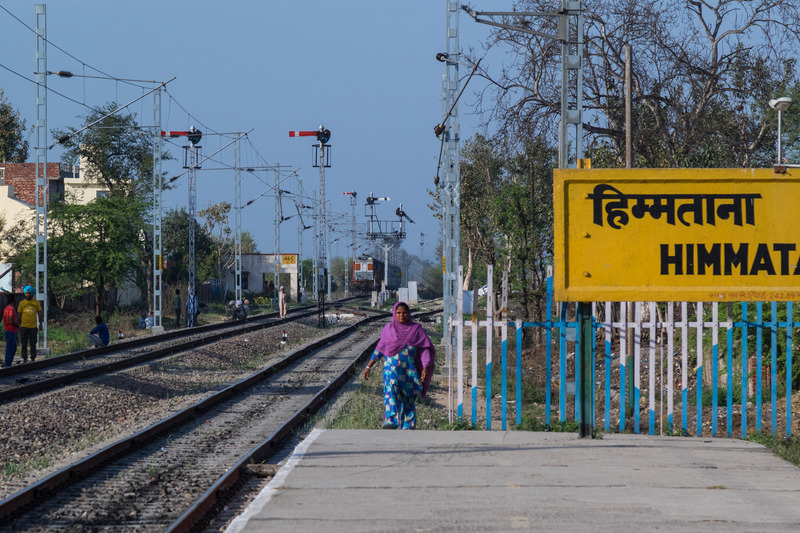 Token section begins here, as Dhuri station itself works on tokenless operation. 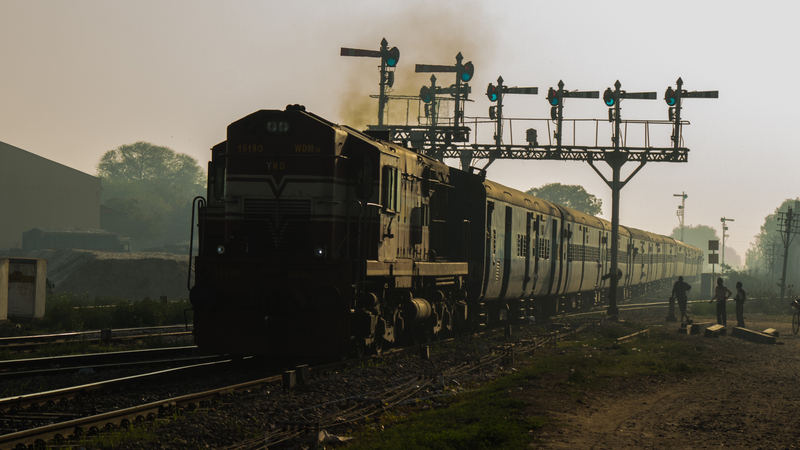 Crossing with the 54605 Sadulpur – Ludhiana passenger. Trains heading in to Dhuri drop their token here, but do not pick up another to proceed. The token dropped by the Dhuri bound passenger will unlock the signal for the Jakhal bound passenger to proceed. On the northern side of Dhuri, lies Himmatana on the line to Ludhiana. Electrification works are proceeding rapidly, and poles have come up till Dhuri outer. 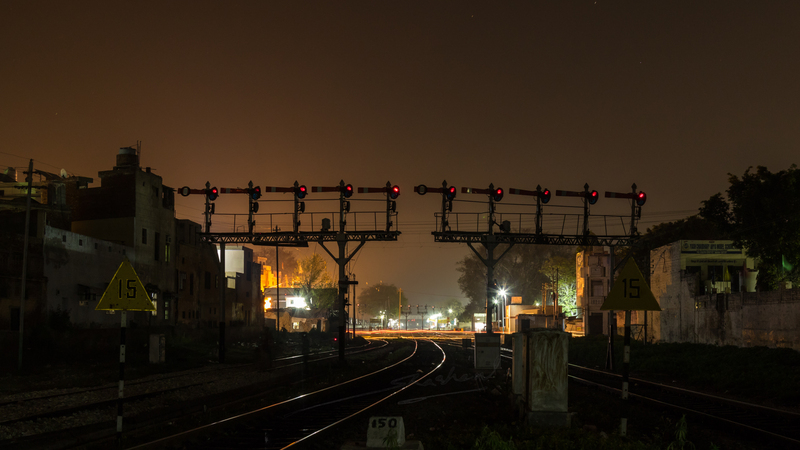 The poles interfere with semaphore visibility at night, leading to a restriction of 50 kmph on trains running after dark. This image should give you an idea of how impressive Dhuri Jn. really is. This image was taken from the western end of the yard. 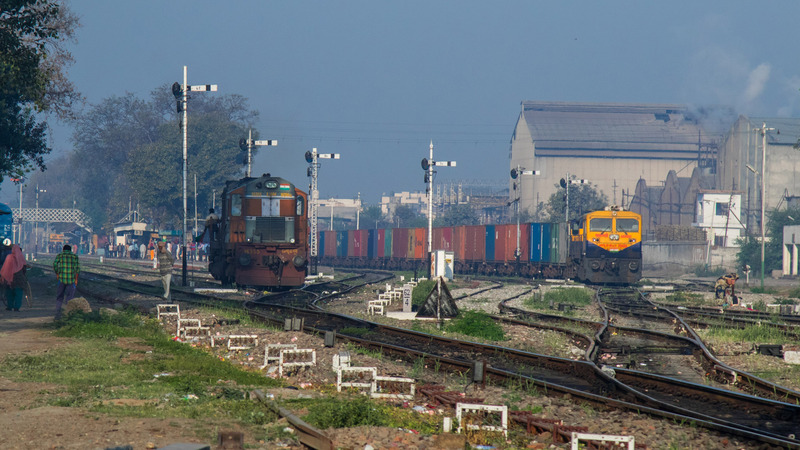 The container freights usually come from ports in Gujarat and head to depots around Ludhiana. 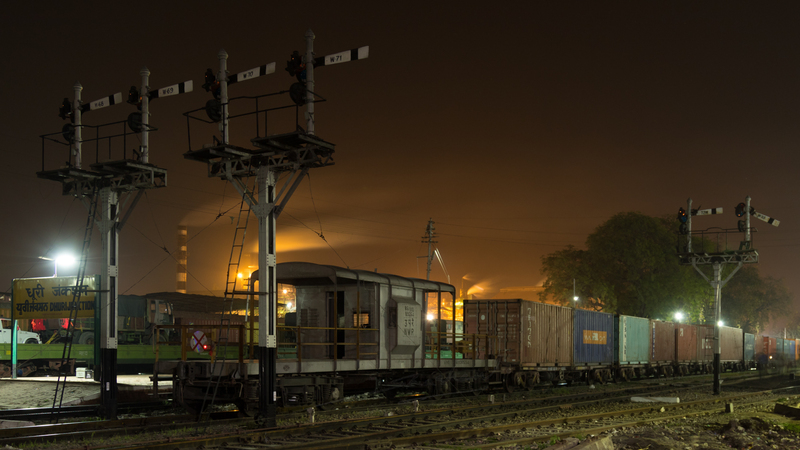 The BCN wagons usually carry agricultural produce loaded from sidings all over Punjab and Haryana. A large sugar mill abuts the Dhuri yard. As with most other mills in the state, this one too is owned by a politician. The infamous DP Yadav in this case. Dhuri Jn is also a freight crew interchange point. 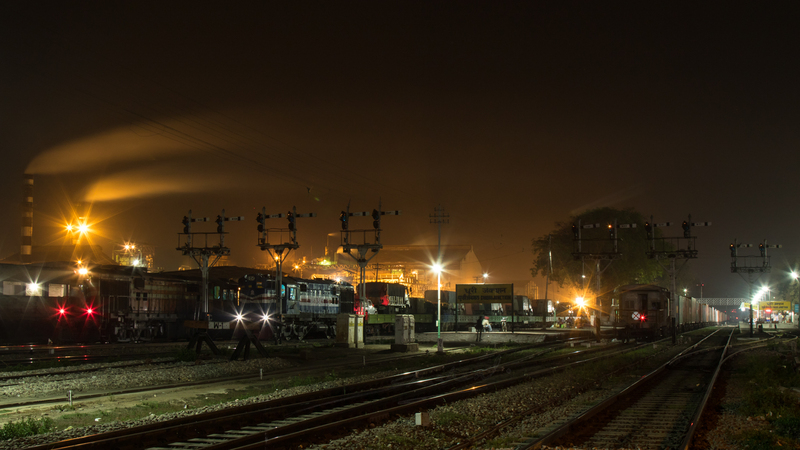 The two WDG4s running short hood leading have been taken over by new crew who are performing the mandatory headlamps and flasher light test before proceeding. Looking east from the foot over bridge. The semaphore mast nearer to camera controls access to the platform on the left. This platform is divided in two parts, with a scissor switch on the main line, allowing two short trains to berth on the same length. 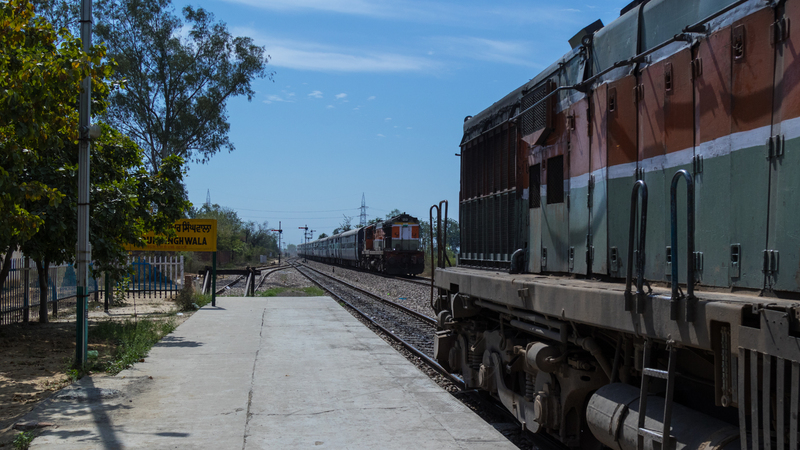 A freight train from Bathinda side approaches Dhuri. The lines on the right head to Ludhiana. 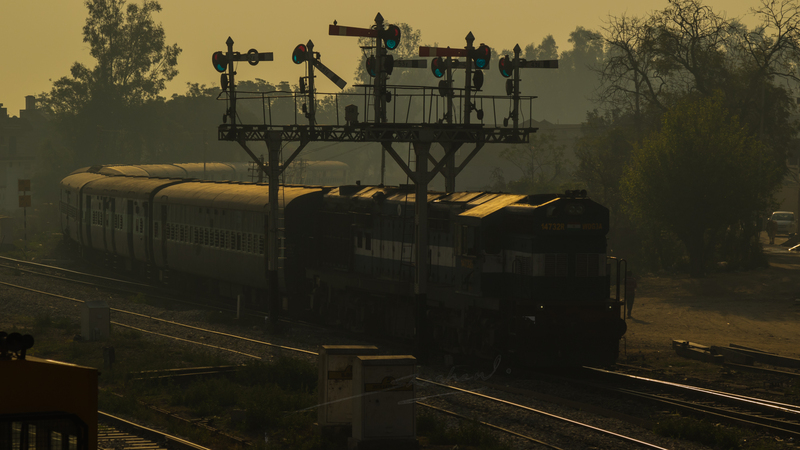 A passenger train approaches from the Ludhiana side. The dropped semaphore indicates that the train is to be berthed on platform #4. The train is carrying a spare locomotive from Ludhiana Diesel shed, which was detached and later send with another train towards Patiala. Looking in to Dhuri yard from the east. The light ALCO was detached from the train in the previous image and parked on a siding to be sent towards Patiala, later. 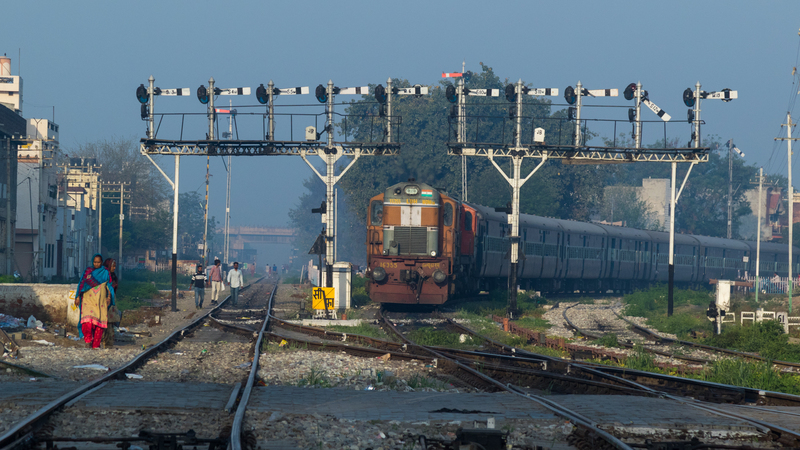 The 14525 Ambala – Sriganganagar Intercity Express enters Dhuri from the Patiala end. 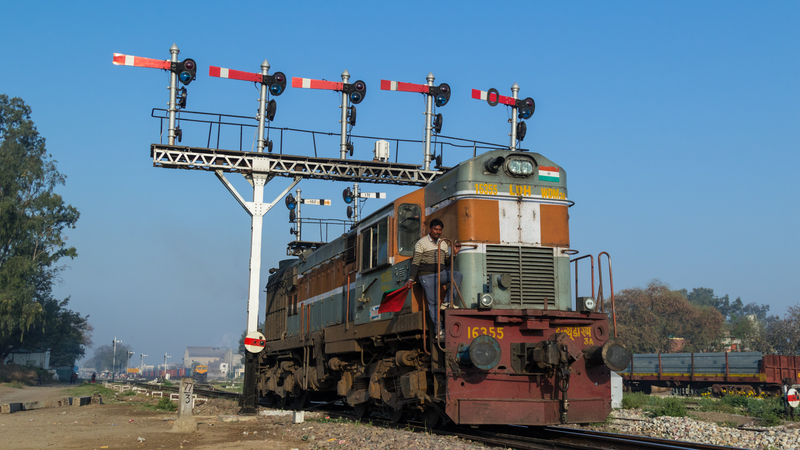 The semaphores are connected to track sensors, which switch them back to on position, the minute the loco passes the mast. 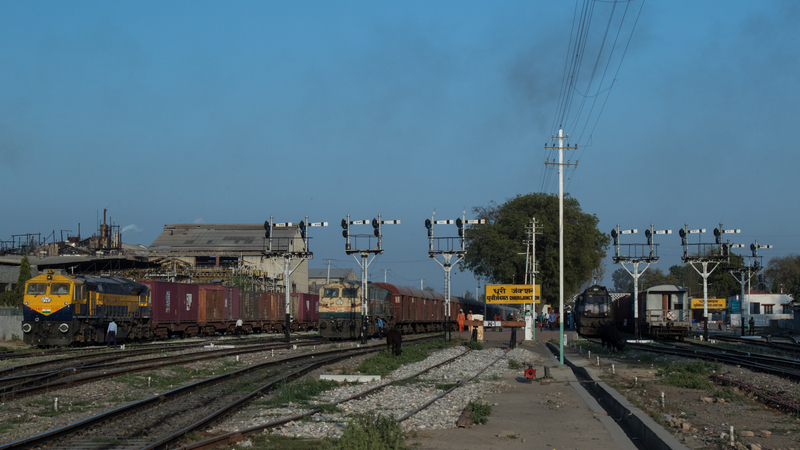 The home signal on the eastern end is after the point where tracks from Jakhal and Patiala side join. Hence this gantry is smaller than the one on the western side. This impressive array of levers controls points and signals on the eastern end. Manning the cabin is Mr. Sehgal, a 35 year veteran pointsman. 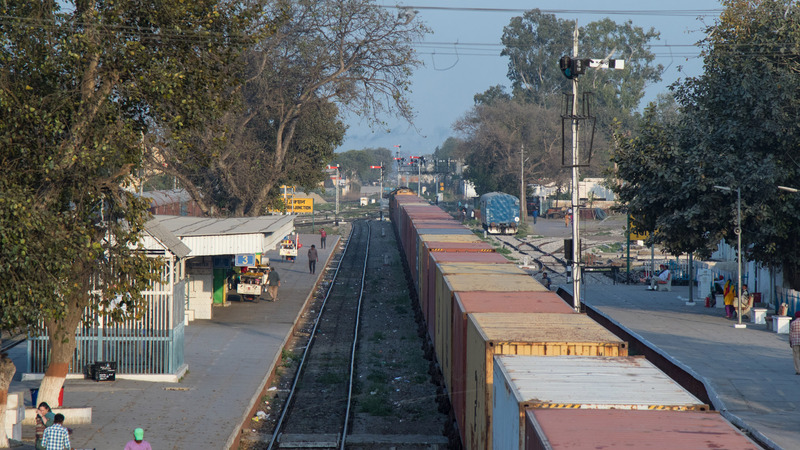 A passenger train from Jakhal side enters the Dhuri yard. 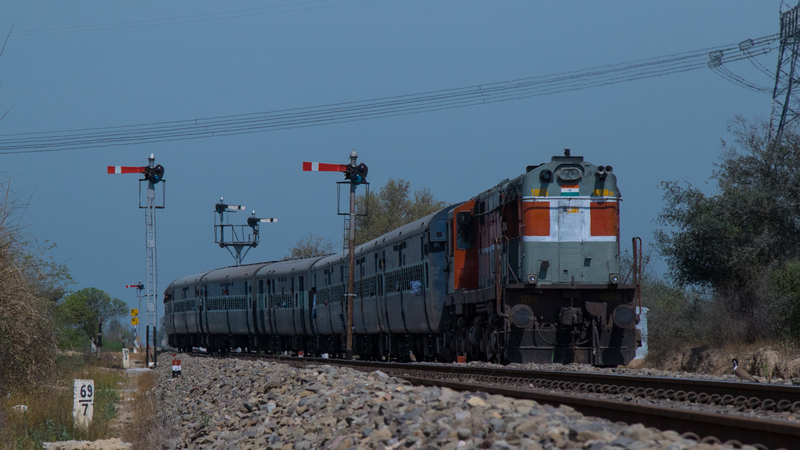 The 14712 Sriganganagar – Haridwar Express is led by a smoking WDP3A locomotive, as it makes it way out of the yard. 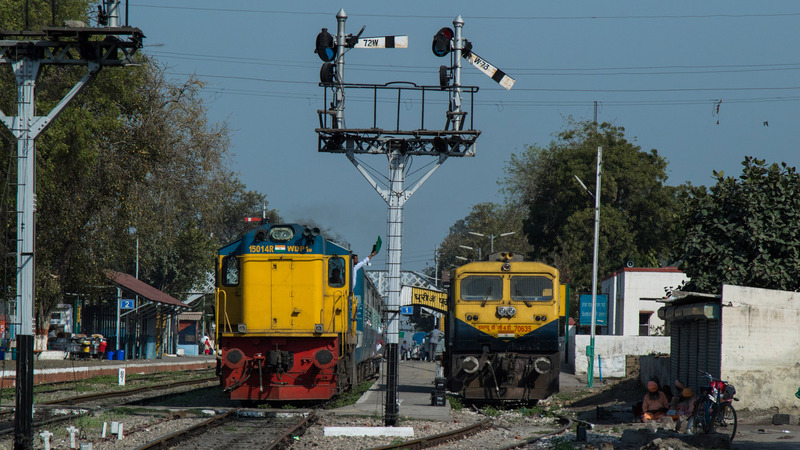 Dhuri is also a place to spot the rare WDP1 class of locomotives. Some of these units have been given a new lease of life, with an extensive refit and a new look in eye catching yellow and blue. The same combination is reflected in the modern silhouette of the WDG4D parked alongside. 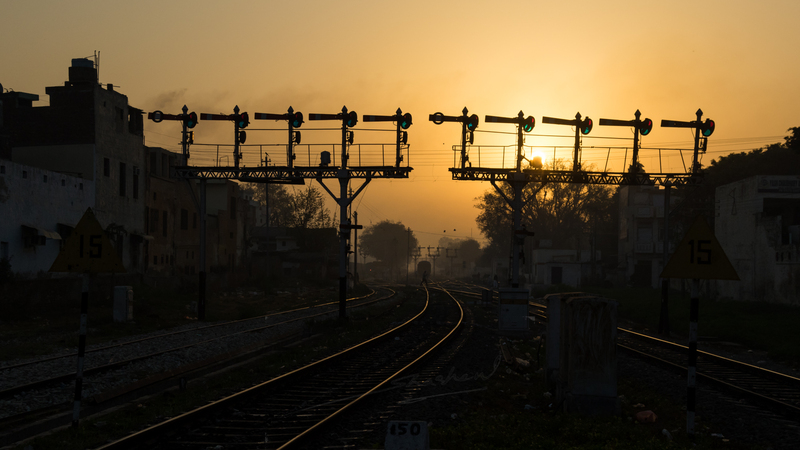 As the sun dips below the horizon, station staff proceed with the time honoured routine of lighting the wicks in the kerosene lamps that illuminate the semaphores in the dark. Evening also brings two celebrated trains of the section face to face. The red and grey Bandra – Katra Vivek Express awaits the entry of the Ludhiana – Delhi Shatabdi Express. Even as night approaches, activity in the yard never ceases. 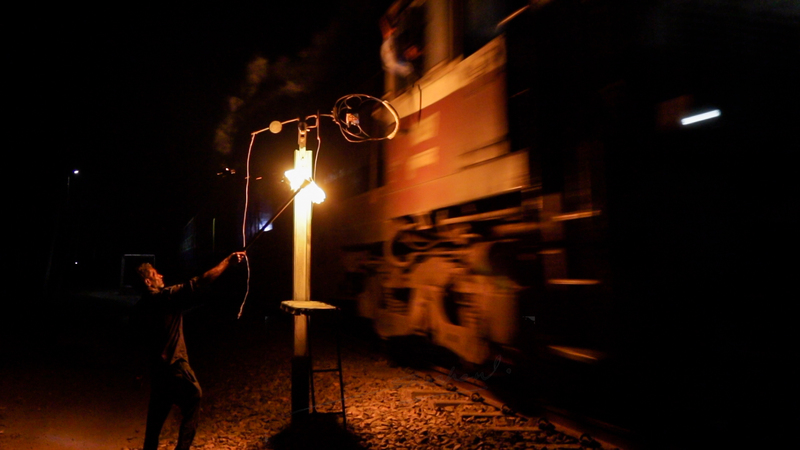 Trains run here round the clock, with more than 120 movements a day. Very impressive considering the fact that all sections are single lined. More traffic piles up in the night. The sugar factory too works ceaselessly. A brief moment of respite. No train traffic means that the level crossing on the western end can open to allow road traffic to cross the tracks. On occasions, the LC can be closed for 45 minutes or more, leading to massive pile up of traffic in the narrow streets. 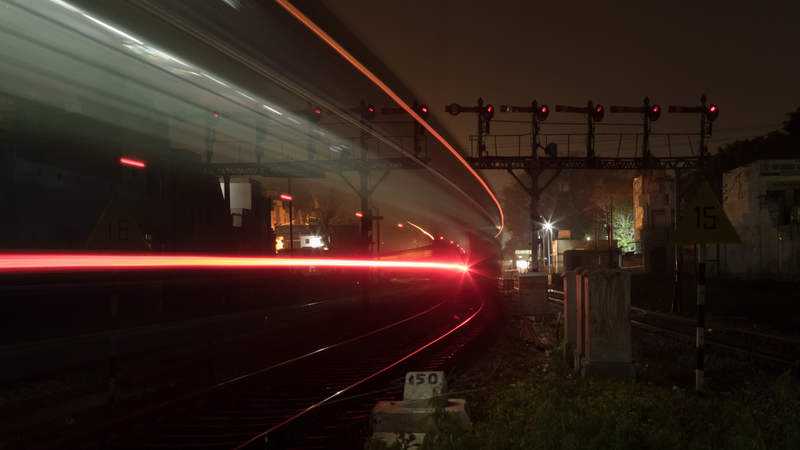 The 54054 Ludhiana – Jakhal passenger streaks its way into Dhuri, leaving an impressive trail of lights behind it. These dramatic scenes – the pointsman with the flaming torch, the precise collection of the token at speed, the sound, the light…. all will vanish in a few months. Modernity, comes at a heavy price at times. Stunning Images…. Great stuff Shanx! Brilliant Shashanka. Never heard of this place and it is amazing the section is still running with a token and semaphore signal system.